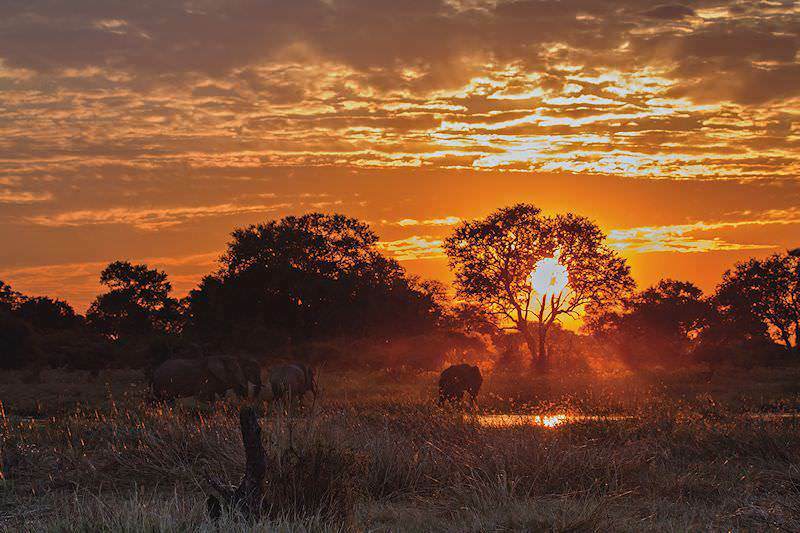 Dazzling photographs that depict that wild majesty of Botswana's Okavango Delta. 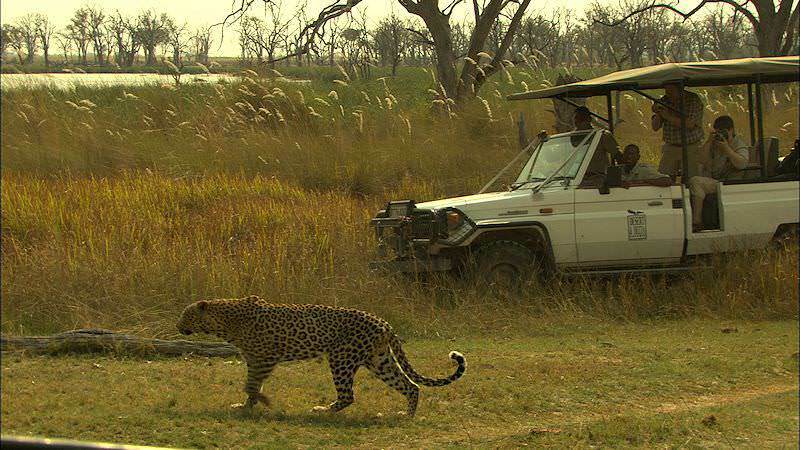 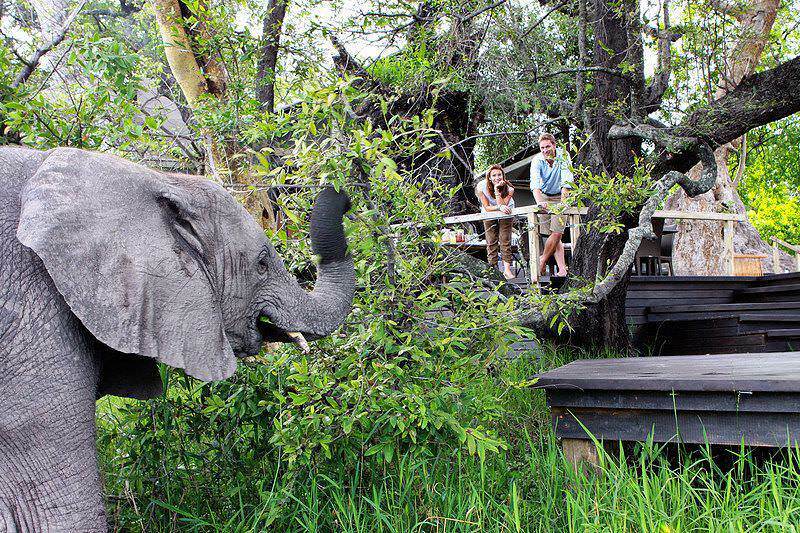 South Africa offers a wide range of experiences for discerning travelers. 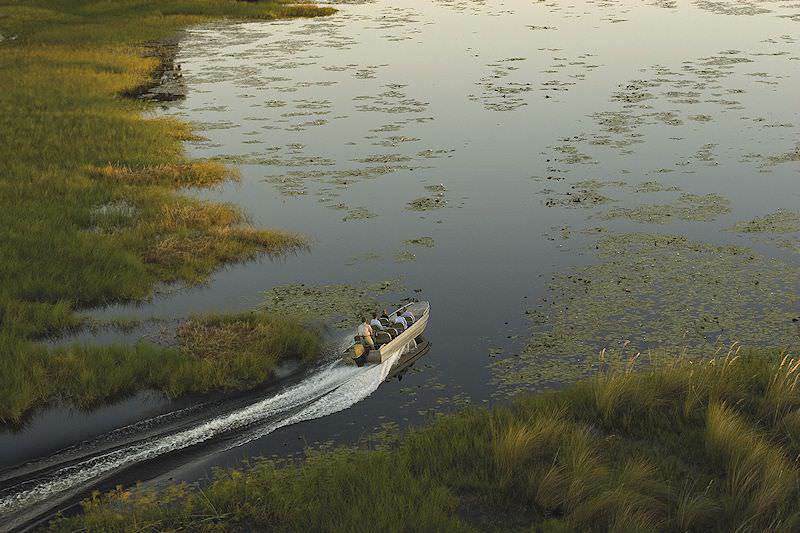 Travel to Botswana for an authentic safari vacation like no other. 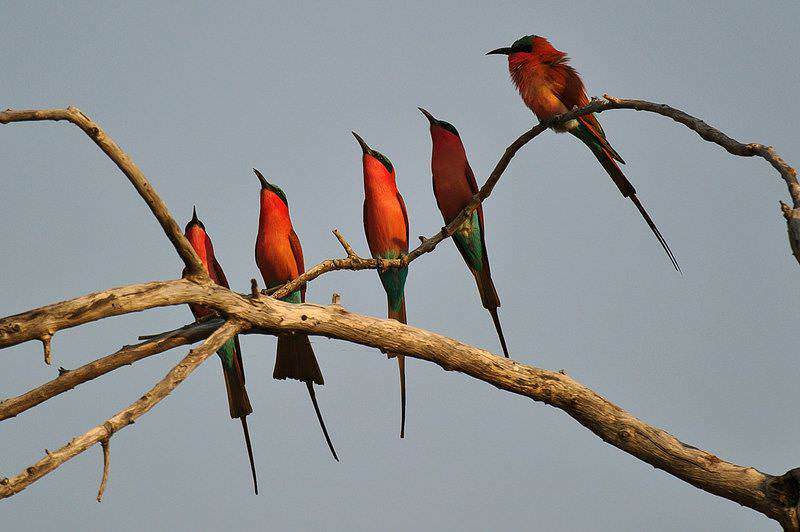 Namibia offers thrilling desert-oriented safari activities and attractions. 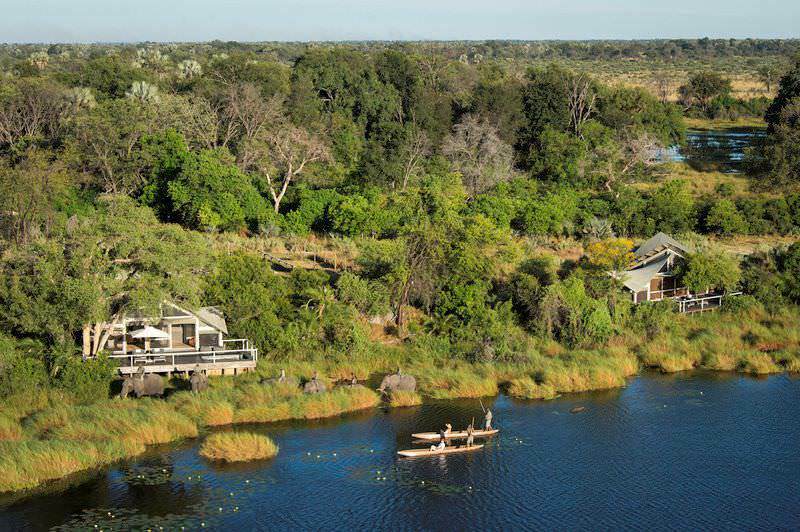 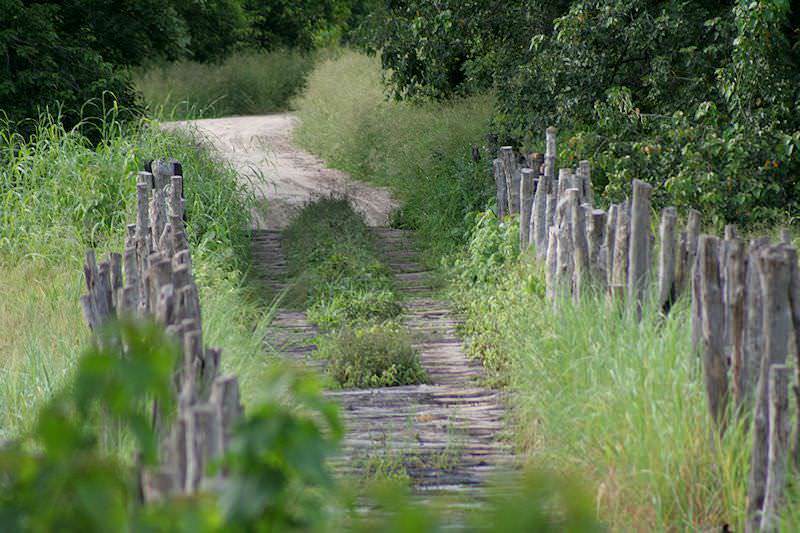 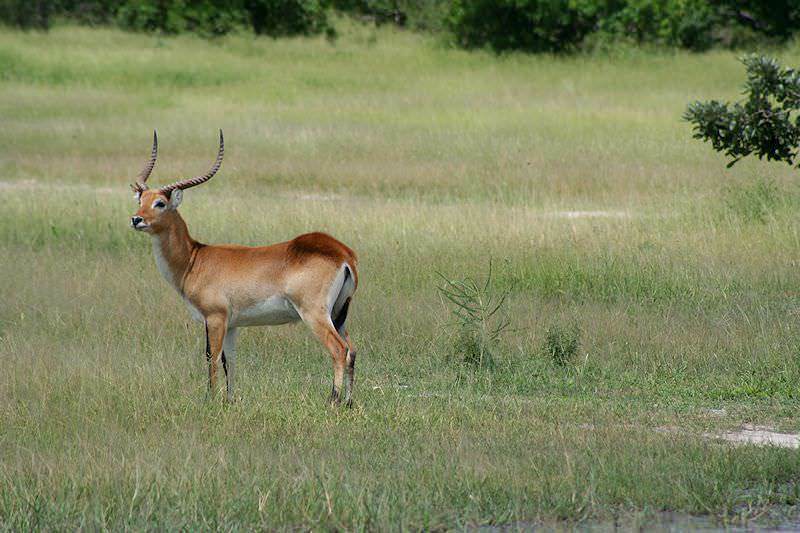 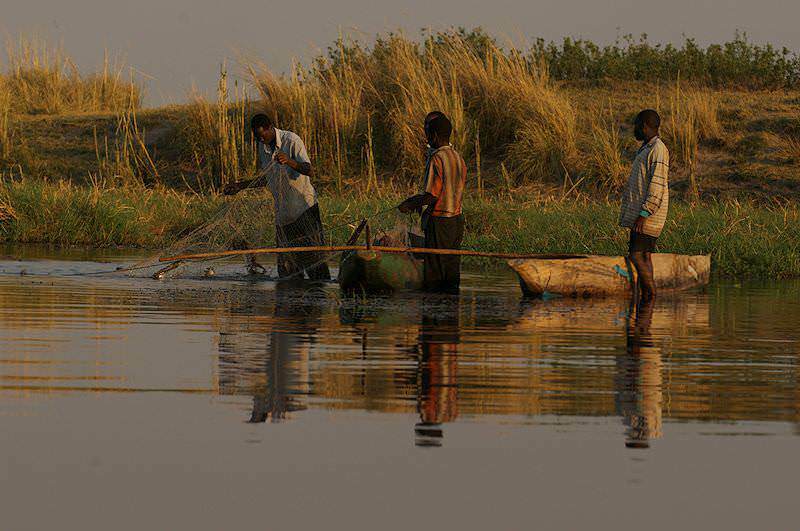 Zambia is home to remote wilderness areas like South Luangwa and Kafue. 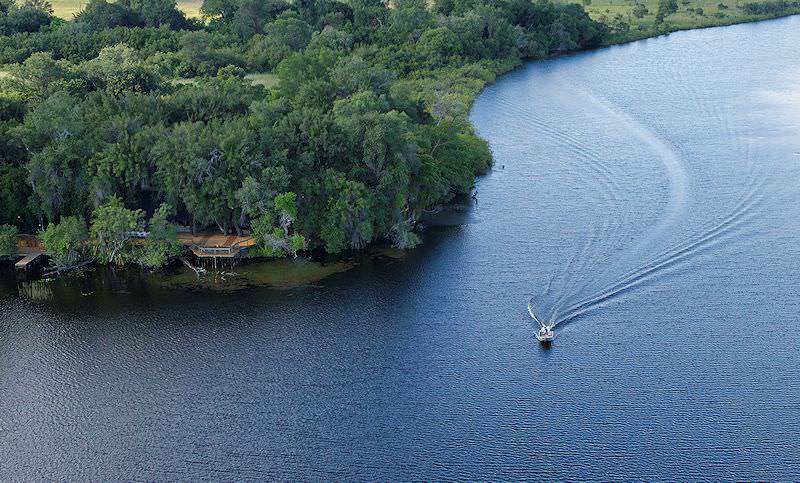 Mozambique is Africa's ultimate beach vacation destination. 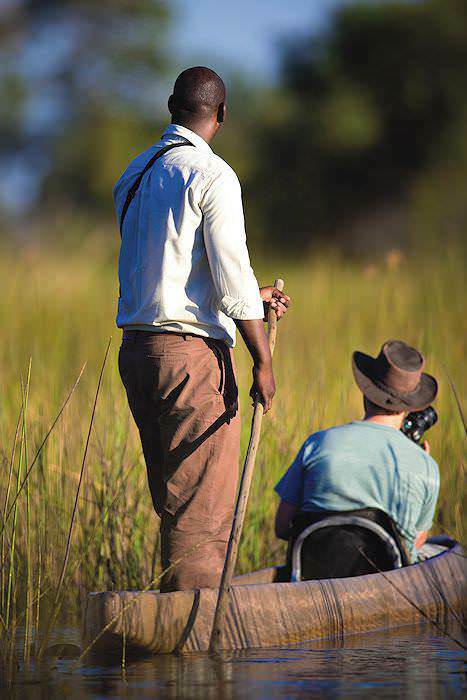 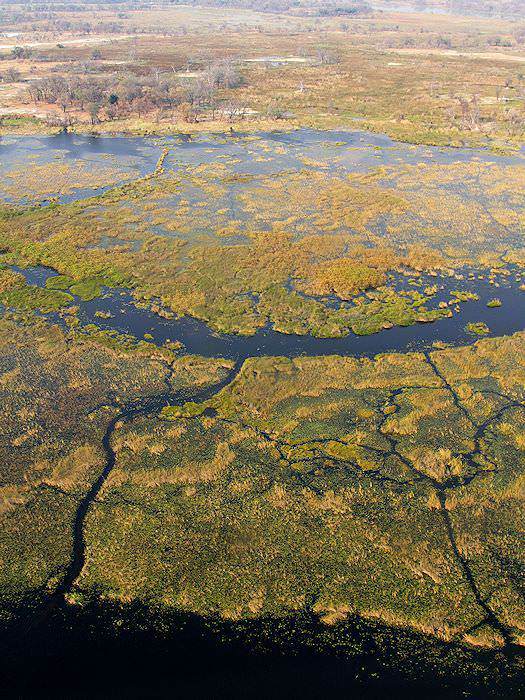 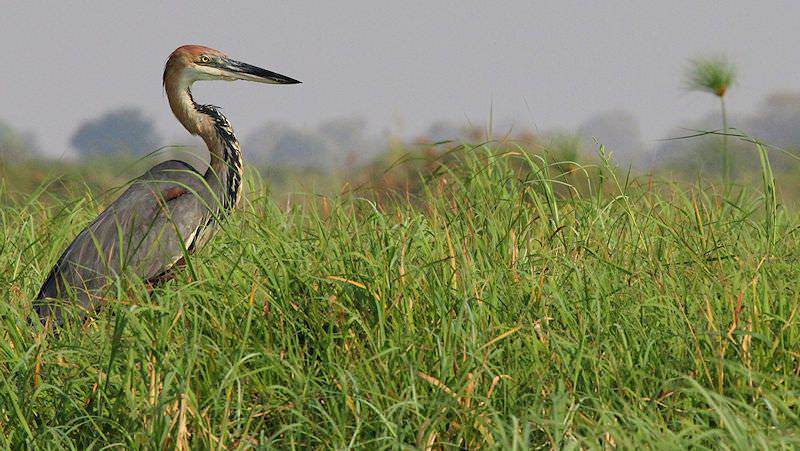 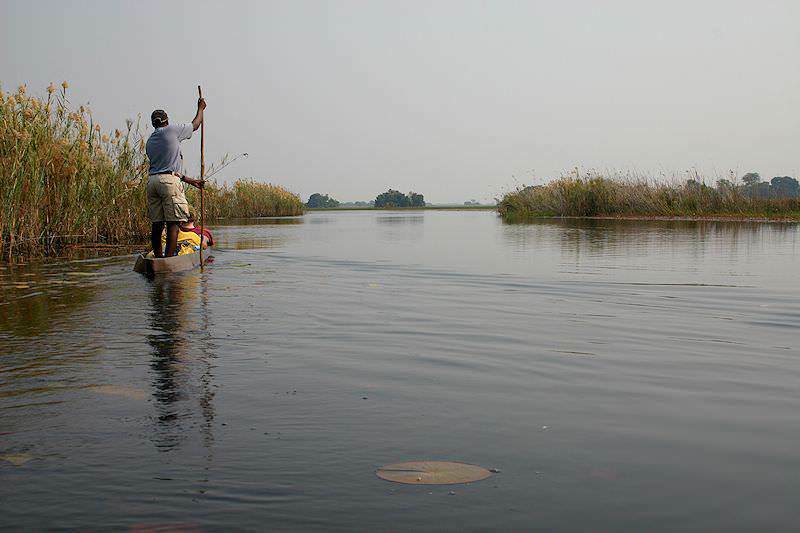 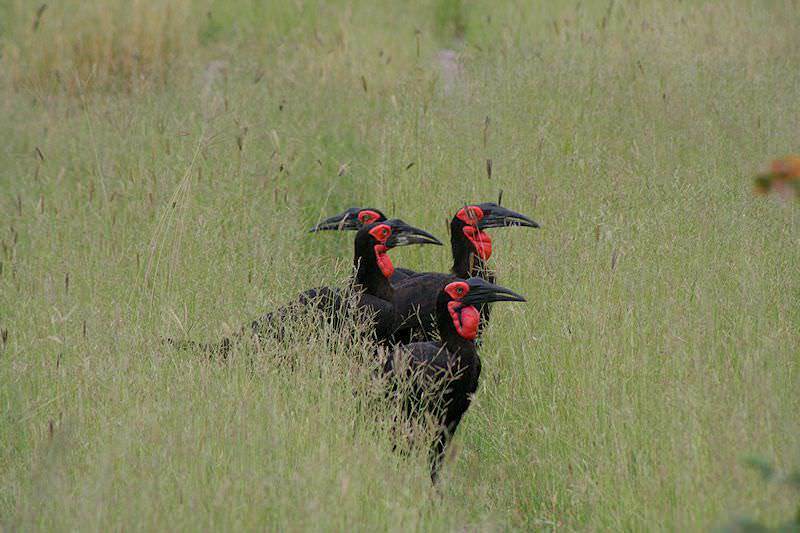 The Okavango Delta hosts myriad mammal and bird species in its unique world of crystal-clear channels and islands. 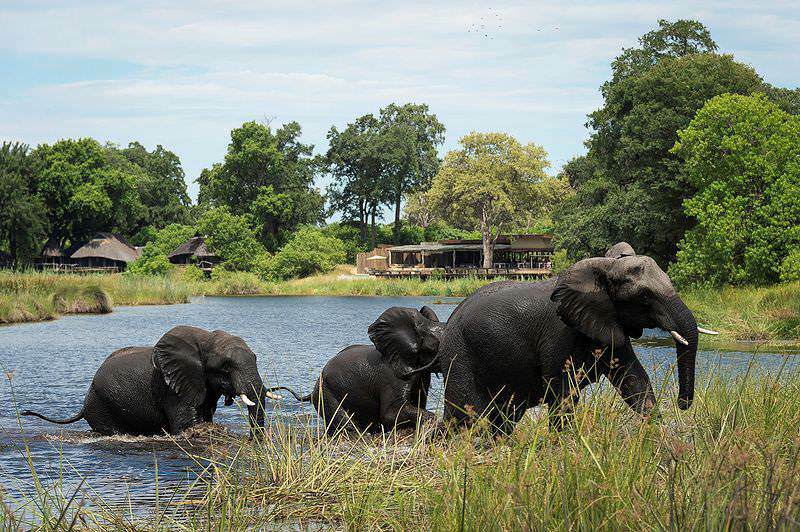 Botswana's Chobe National Park offers easy safari access and prolific game viewing - particularly in terms of elephants! 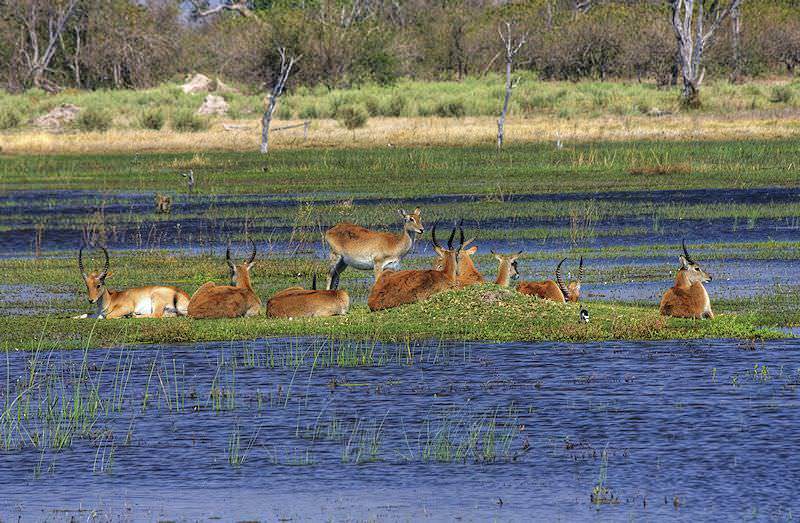 The Makgadikgadi Pan consists of a flat, otherworldly landscape reminiscent of the surface of the moon. 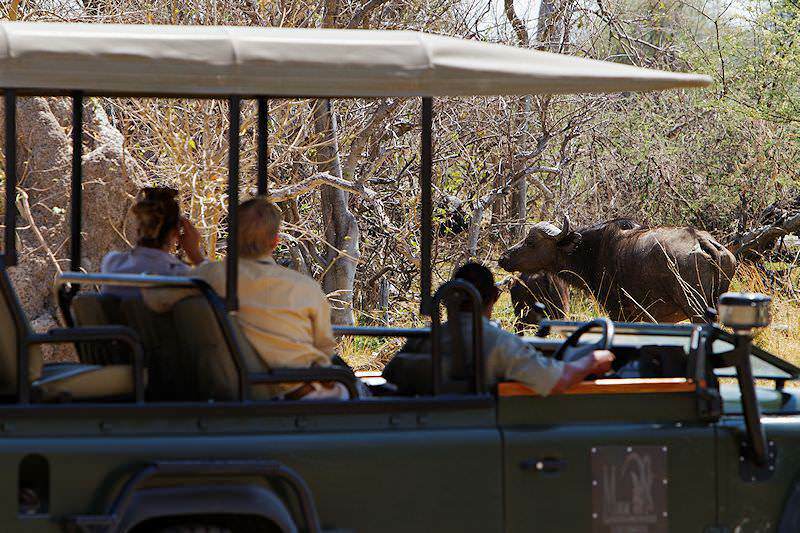 A unique safari experience. 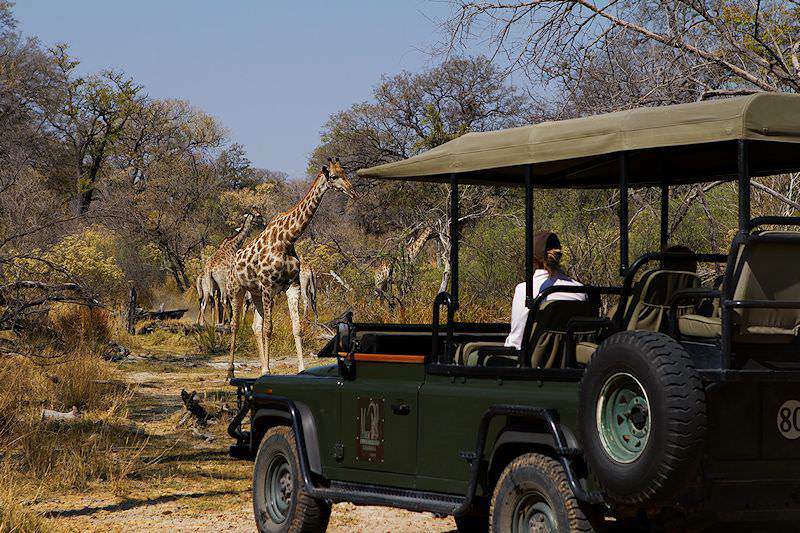 The Central Kalahari Game Reserve is where safari enthusiasts venture to truly get away from it all - deepest, darkest Africa.